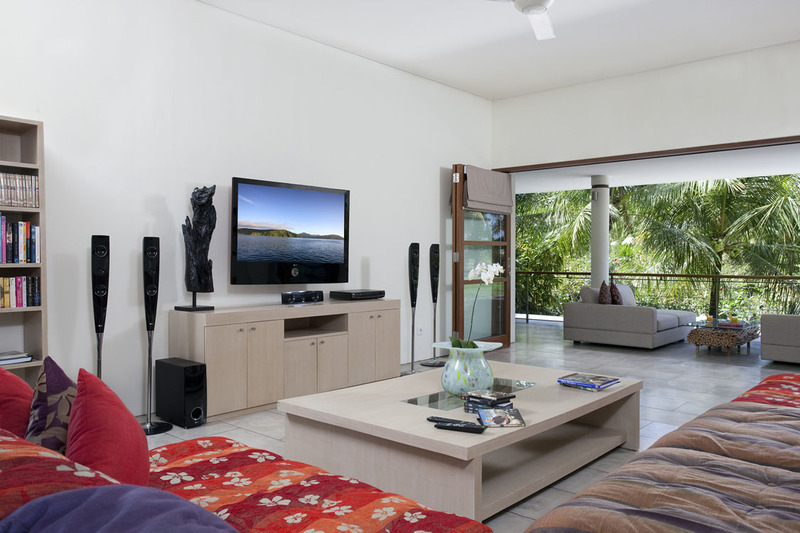 ONLY 500 metres to the beach - rent this today! 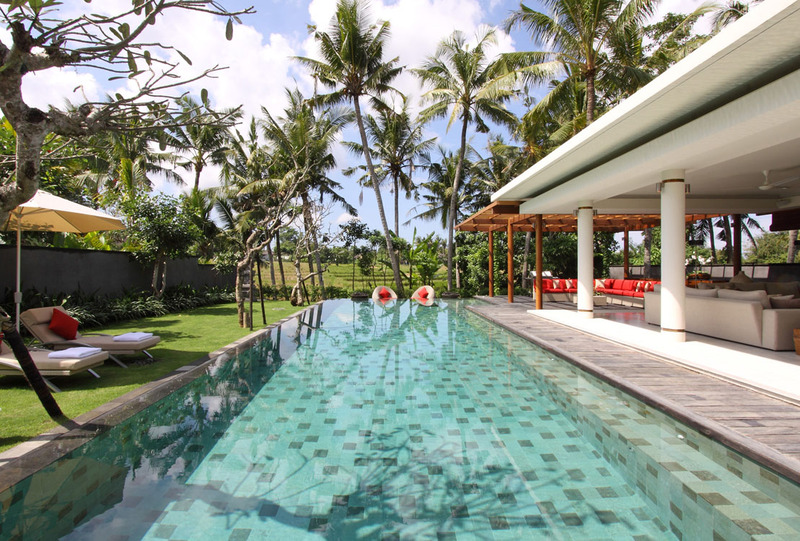 Villa Sally is arguablyone of the best 4 bedroom Canggu holiday villas to rent in the ultra hip and very trendy beach side area of Canggu. 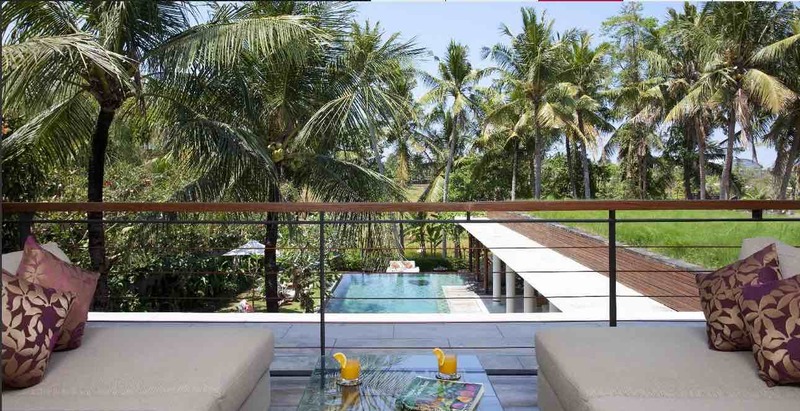 This contemporary villa offers gorgeous rice field views, a very impressive outdoor living and pool area that will be hard to pull yourself away from once you see it and every creature comfort you could possibly need for an exceptional Bali holiday experience. 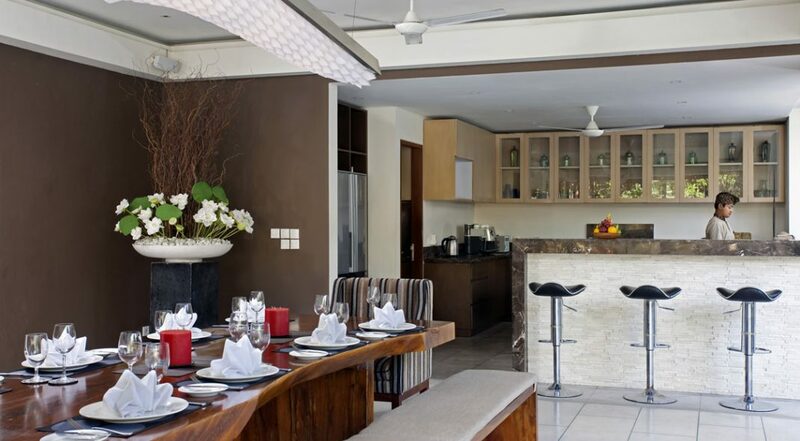 This is a family friendly villa but also perfect for a group of friends wanting to experience everything Canggu while still being close to vibrant Seminyak. 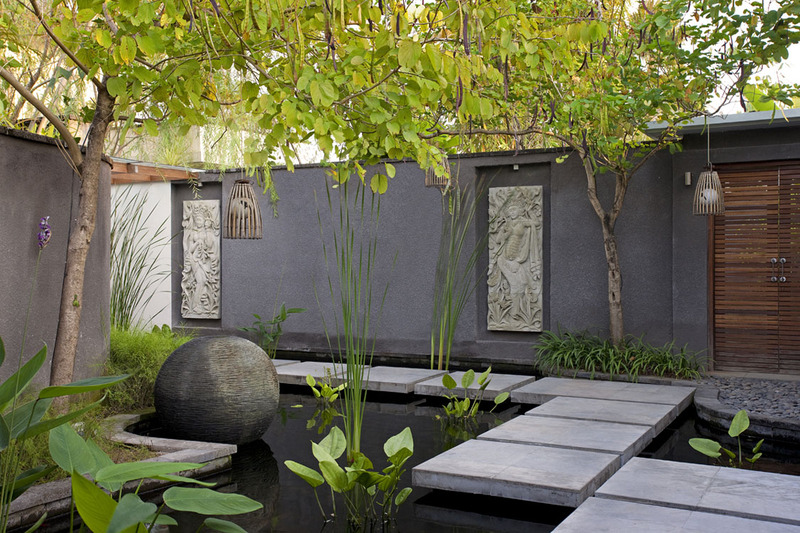 Before you even take your first steps inside Villa Sally and you are met by the exquisite koi pond entrance way, you immediately have a sense of tranquility with a distinct hint of luxury. 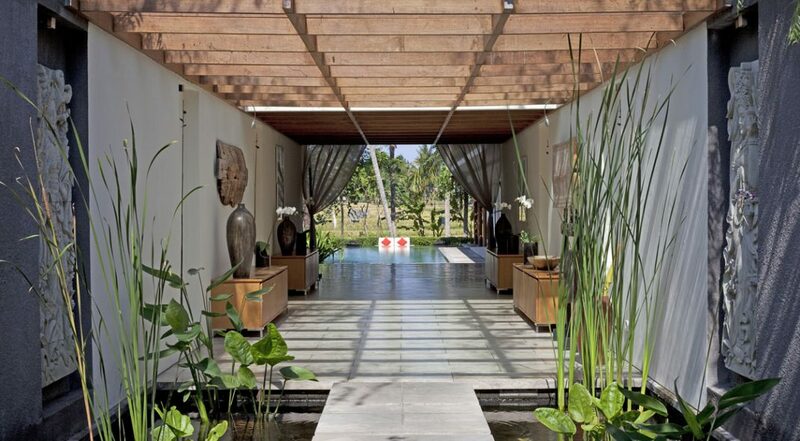 A covered walkway paints a picture of lush rice fields in the distance and then you are transformed into a beautiful outdoor tropical setting. 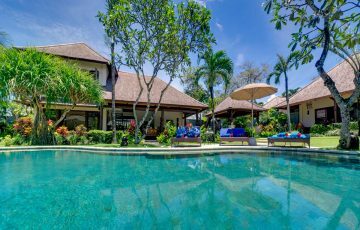 A gorgeous infinity pool seems to go on forever out into the rice fields, to one side a spacious lawn with frangipanis, tropical palms and at the end of the pool swaying palms. 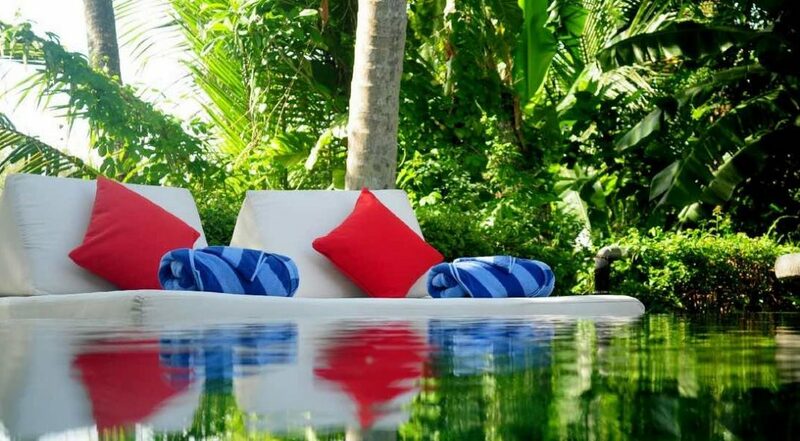 Take your pick; it will be hard to decide on a recliner or day bed, a beanbag on the pool deck or just splashing around in the pool. 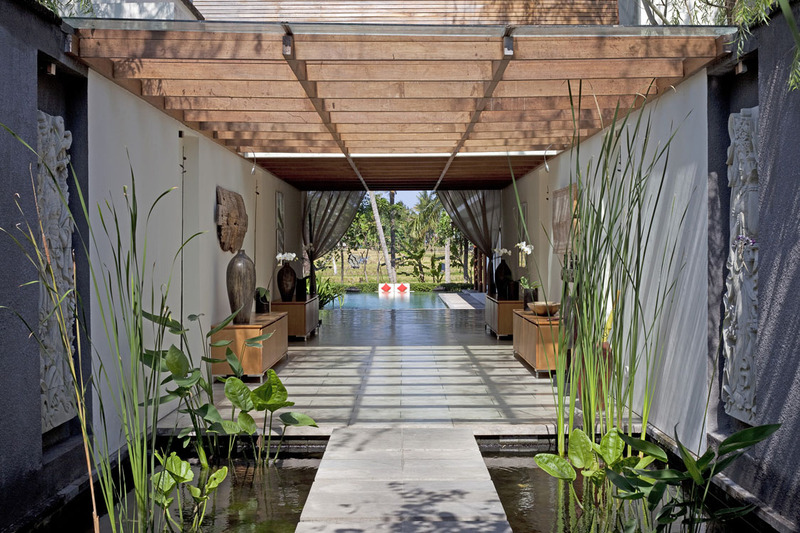 An expansive open-plan and open-air living pavilion stretches out alongside the pool. It offers a place to relax by the pool in absolute comfort, whether you’re on the huge sofa watching TV, having something to eat at the dining table or just enjoying a coffee at the kitchens breakfast bar, it will be a pleasurable experience. 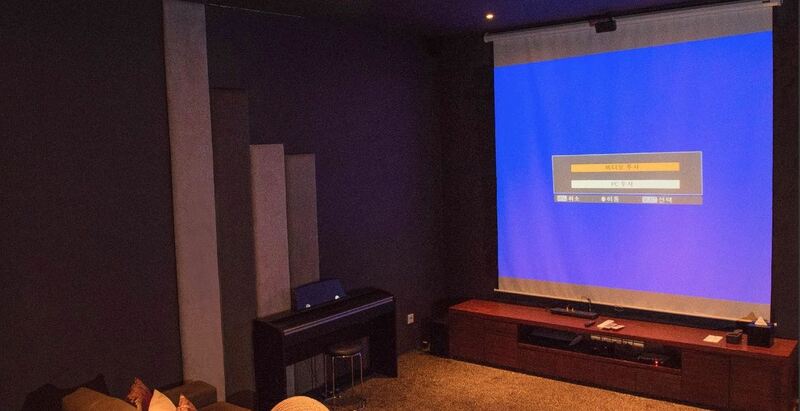 Upstairs in the accommodation pavilion a secondary living area offers air-conditioned comfort with a separate media room with a large state of the art home cinema with projector screen, the living spaces allow guests to seek privacy with ease or interact and enjoy each other’s company at anytime. 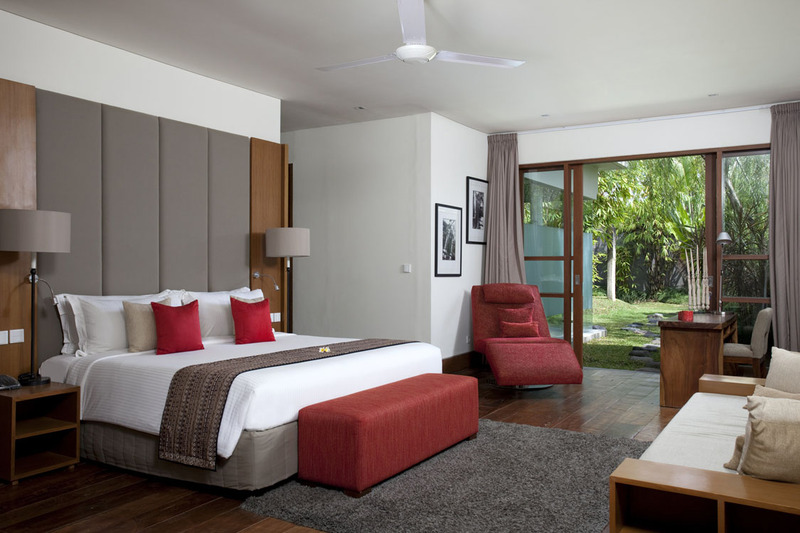 The four spacious en-suite bedrooms are located in the two storey pavilion, beautifully appointed the rooms feature plush king size beds and twin configurations easily converted to kings. 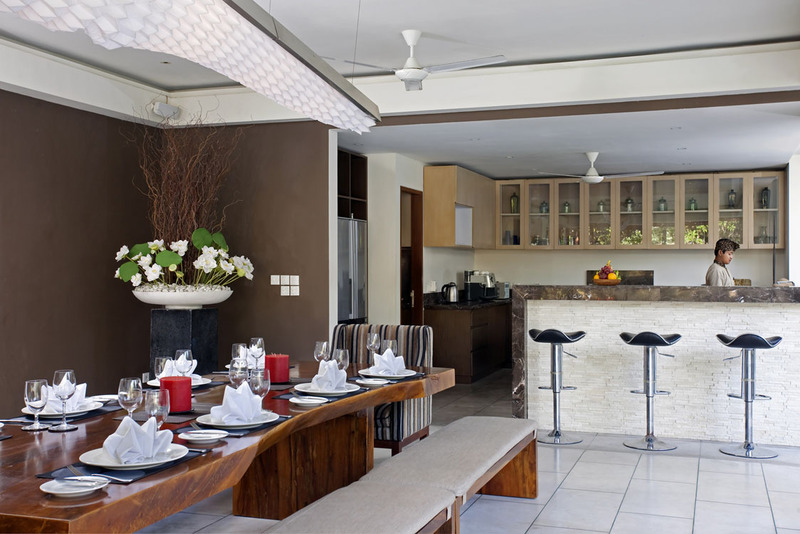 Guests on the upper floors can enjoy relaxing on the spacious covered verandah and enjoying the rice field views beyond the pool. 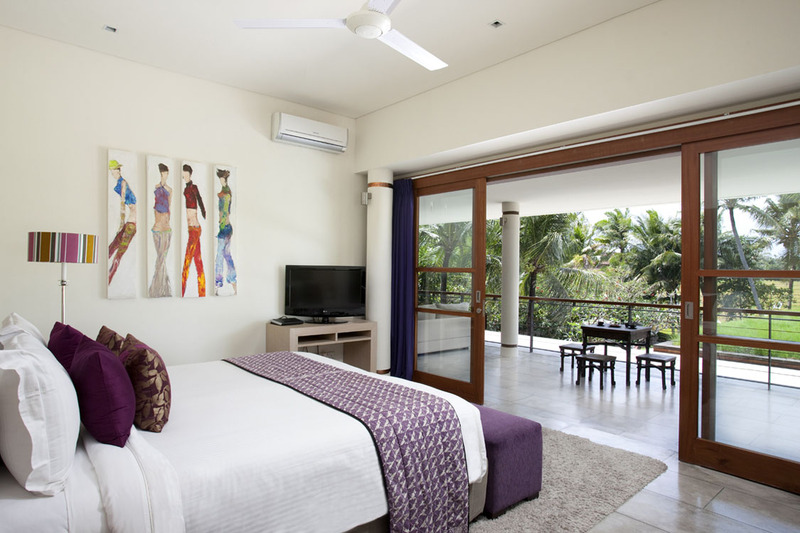 The downstairs rooms open onto the pool and gardens. 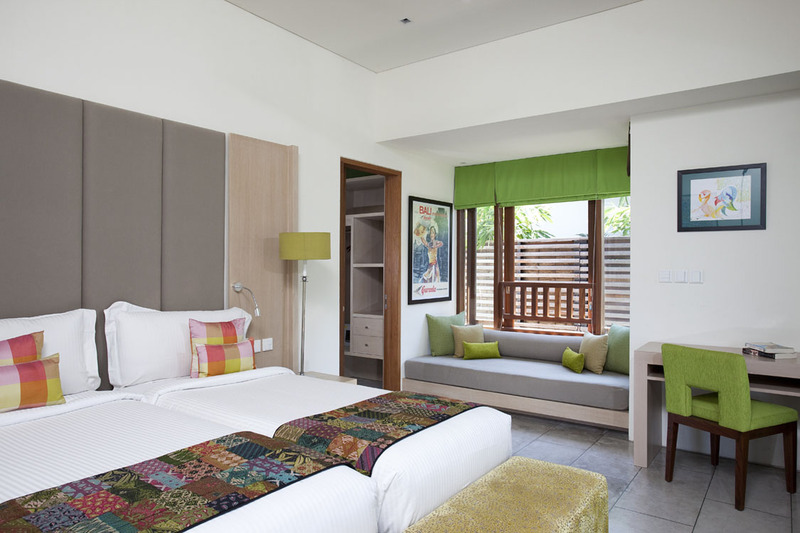 The rooms feature minimalist design elements, vibrant artworks; decorative cushions and upholstering make these rooms bright, cheery and very attractive. 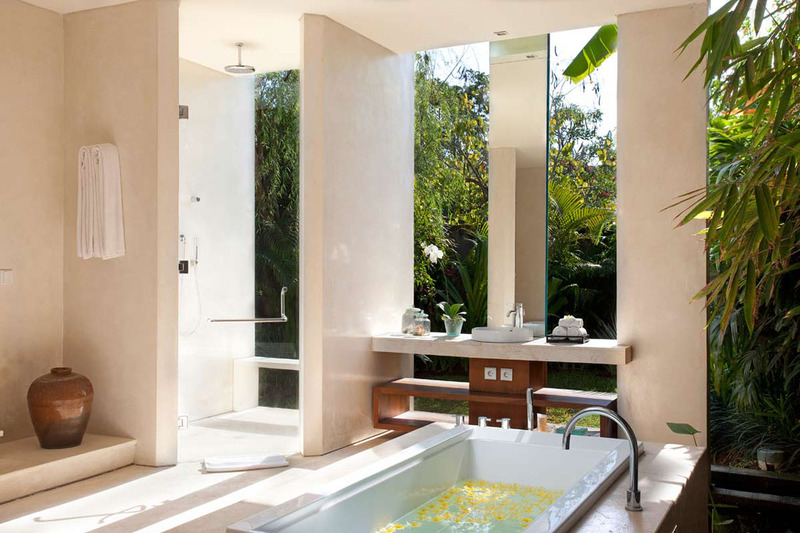 The en-suites are beautifully designed and feature large monsoon shower stalls, built in soaking tubs with garden views and twin vanities for a most luxurious bathing experience. 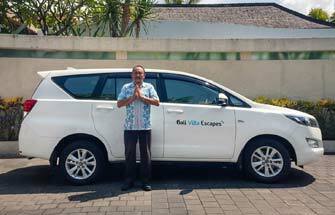 A veritable army of warm and friendly Balinese staff will make you feel very welcome and relaxed throughout your stay at Villa Sally. 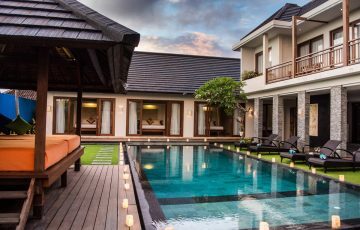 The senior manager will always be on hand and oversees the attentive team of butlers, housekeeping and 24 hour security guards. 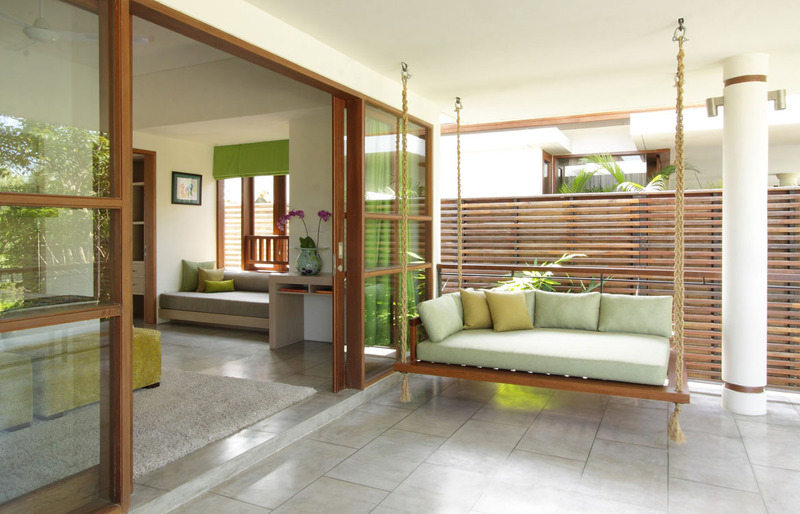 Have an indulgent spa or other treatment in the dedicated massage room. If you have infants or young kids there is a baby-cot and high chair on hand. 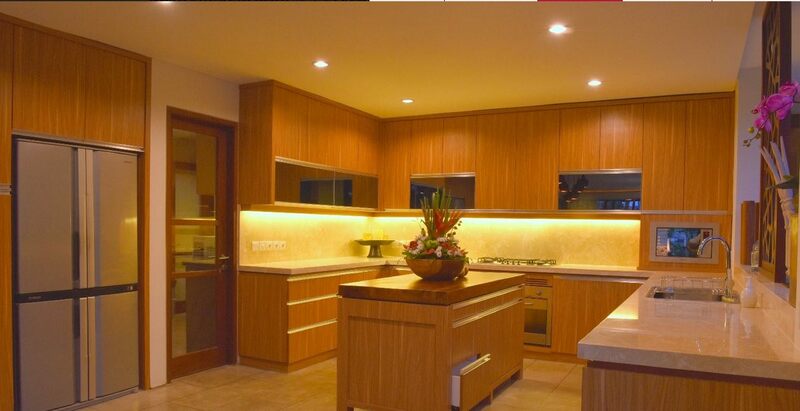 Don’t hesitate to make any special requests; the staff will happily accommodate all of your needs. 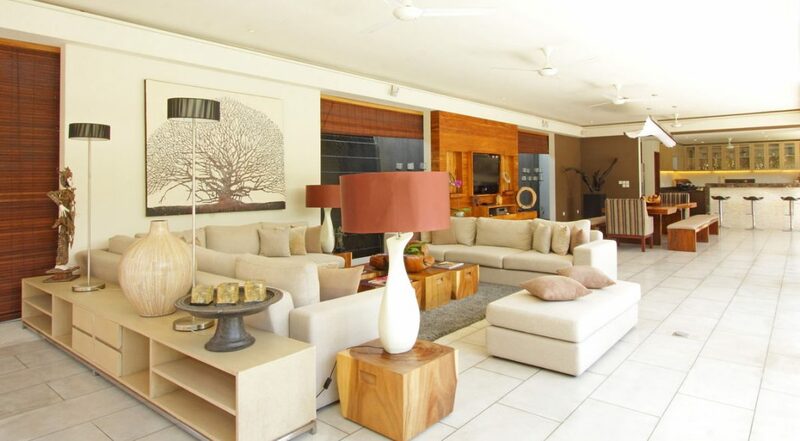 Guests at Villa Sally are just a few hundred meters from the very popular Finns Club, offering something for everyone including a fully equipped gym, dining areas, lap pool, tennis courts, water fun park and trampoline world, the kids will be ecstatic. 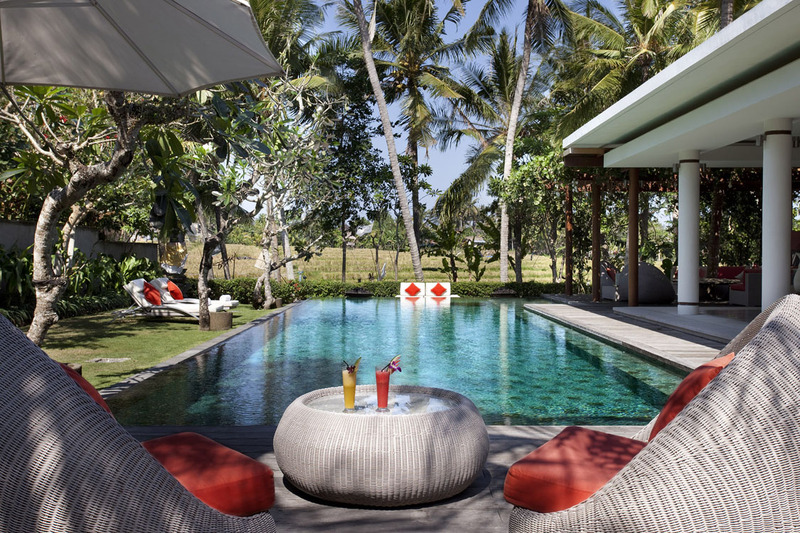 Berawa Beach is less than 1km from the villa and Echo Beach is nearby with great surfing and an array of cafes and bars. 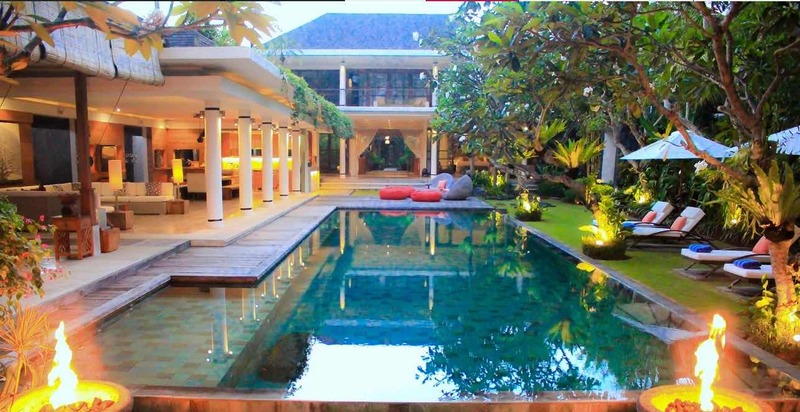 If you wish to visit Seminyak for some window shopping or dinner then it’s only a short drive away, 10 minutes by car at most. 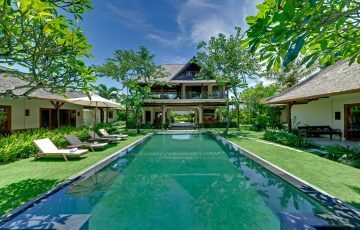 To view other Canggu villas or other Bali villas that are close to shops, restaurants and the beach please browse this website or contact our reservation team. 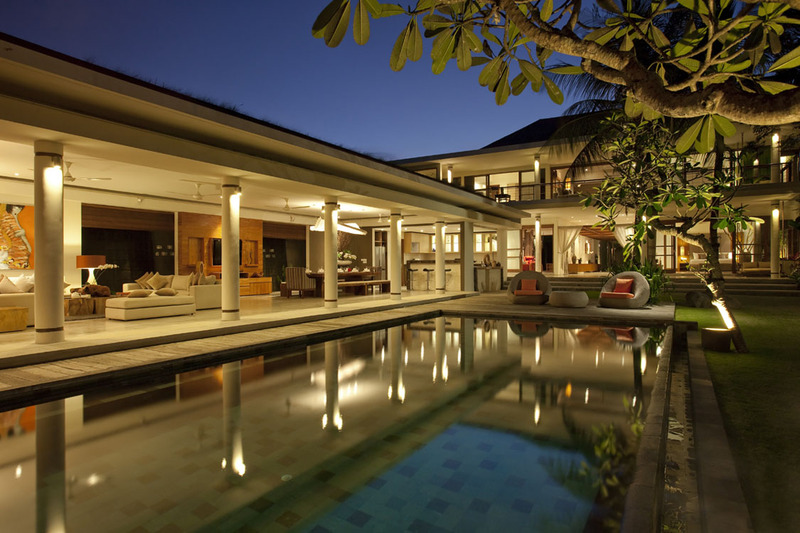 This is a popular Canggu holiday villa so if your planning a trip to Bali especially during the Australian school or public holidays please book Villa Sally well in advance. We stayed at Villa Sally to celebrate my mother’s 80th birthday and it was awesome. 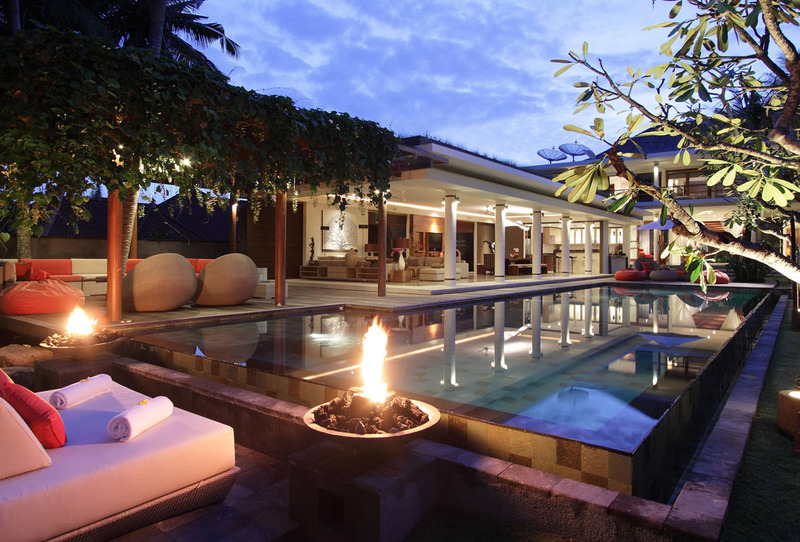 Everyone had nothing but the very best things to say about this villa. 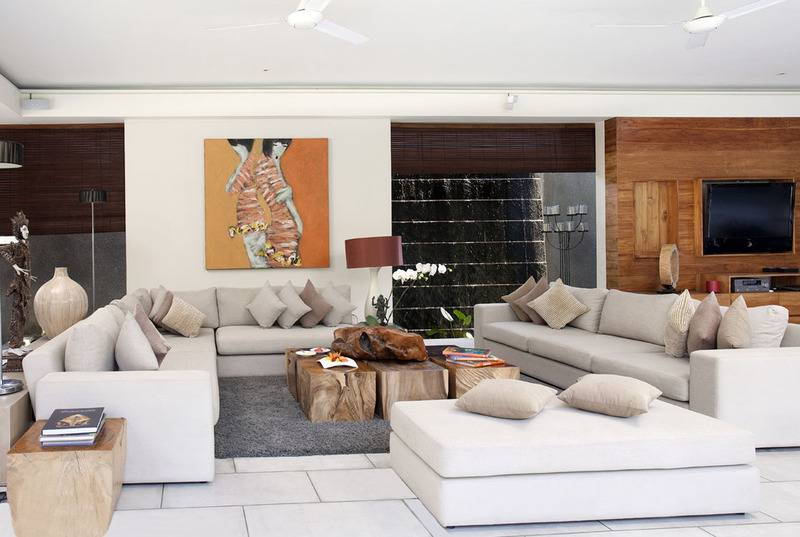 It was clean, beautiful and had so much space that we could all hang out in smaller groups without a fuss. Plus the views were drop dead gorgeous! The chef was amazing and there were so many options on the villa menu. We had such a beautiful celebration that was made more special by the great services and facilities of the villa. This was a once in a lifetime experience that we will never forget. I spent two weeks here with my entire family. Everything was top notch and we had the best holiday here. The pool is fantastic and we liked how open everything was. I could sit in the living room and still keep an eye on the kids. The service was flawless and the staff were just perfect. We have such beautiful memories of this place and we will surely be back next year for another couple of weeks - great value and fantastic location. 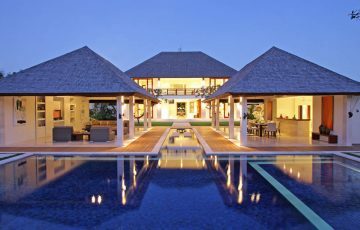 What a sensational holiday villa. 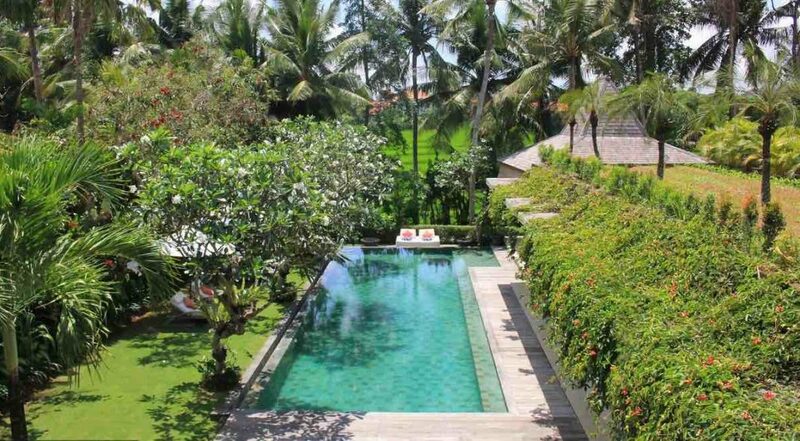 After doing our research online we finally settled on Villa Sally and we are so happy we made the decision to stay in Canggu and not Seminyak. Not only was it much quieter but the cafes near the villa were sensational and great for taking the kids. 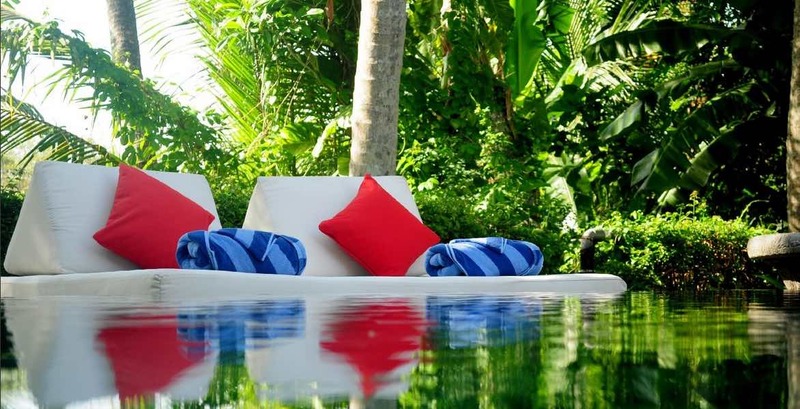 Clean comfortable rooms with such an incredible swimming pool. 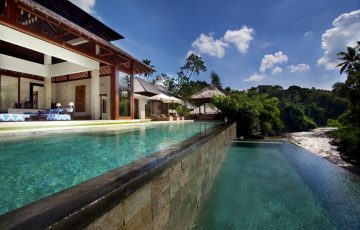 I can't count the number of times I have raved on about this villa to my friends. 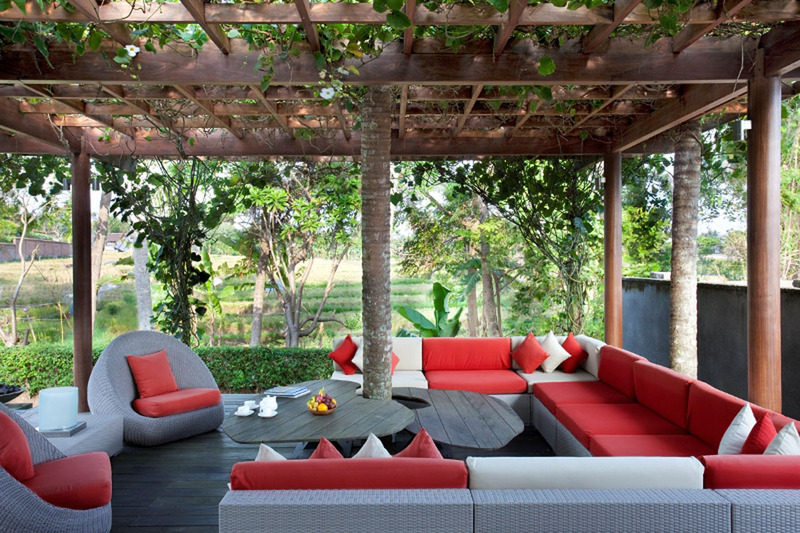 We loved everything about Villa Sally! 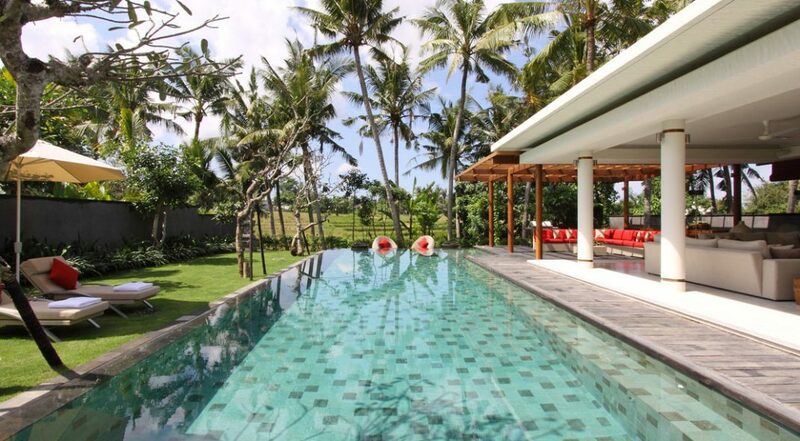 The beautiful swimming pool, private location and staff were fabulous. 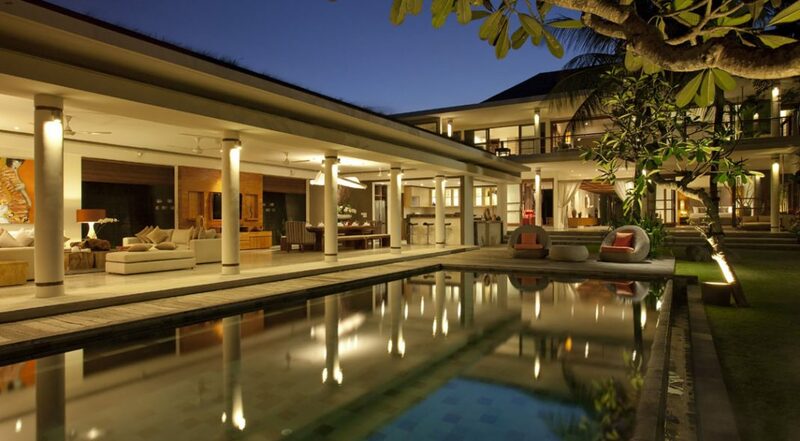 So much space and room for a 4 bedroom villa. 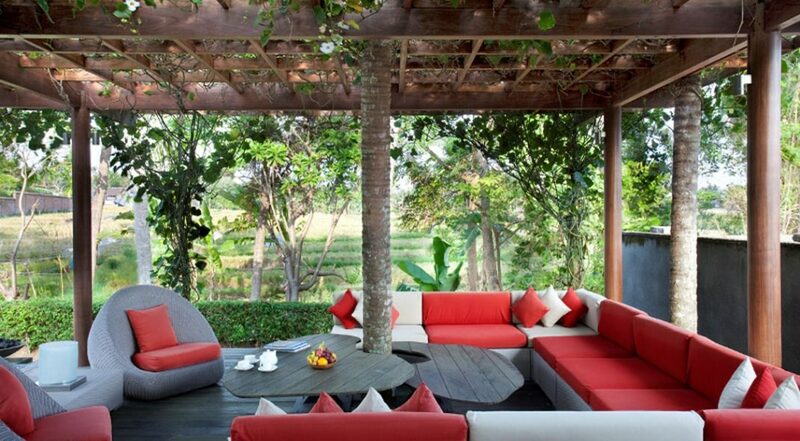 For a family holiday this is such a good place to stay. To all the staff at Villa Sally thanks for making us feel so welcome.